"...can reaffirm his status as the best 2m chaser in the business..."
Outstanding chaser who has won his last 14 starts over hurdles and fences. Lightly raced last term after suffering a problem before a planned run in this race, his three wins in 2017/18 coming in Game Spirit Chase at Newbury, Queen Mother Champion Chase at Cheltenham (by seven lengths from Min) and Celebration Chase over C&D (by three and a quarter lengths from San Benedeto). Very good jumper who acts on all types of ground, and has appeared to relish the challenge when faced with these fences in the past. Very hard to beat. Made an immediate impact last year after being bought from France (where he won three juvenile hurdles), winning two novice handicaps at Newbury and the Kingmaker Novices' Chase at Warwick (by 22 lengths from Diego du Charmil) in February. Sent off clear second-favourite for Arkle Chase at Cheltenham on next start but failed to fire, cutting out quickly before three out. Back to form with a bang when landing five-runner Poplar Square Chase at Naas on reappearance by four and a half lengths from Tycoon Prince, yet to be asked for effort and main rival Footpad in trouble when left clear at the last. Formidable front runner who should relish this jumping test, and, as a five-year-old, should have more improvement to come. Former Champion Hurdle sixth who has shown high-class form over fences, winning four of five starts in 2017/18, including Henry VIII Novices' Chase over C&D (by 11 lengths from North Hill Harvey) and Lightning Novices' Chase at Doncaster (jumped quickly, challenged on bridle two out and asserted from last when beating Shantou Rock by two lengths). Showed he retains all ability after 10 months off when winning six-runner Shloer Chase at Cheltenham last time by two and a quarter lengths from Simply Ned, going with zest and well on top at the finish. Strong-travelling sort who remains capable of even better. Top-class chaser who also won four of five starts in 2017/18, namely Hilly Way Chase at Cork, Clarence House Chase at Ascot, Devenish Chase at Fairyhouse and Boylesports Champion Chase at Punchestown (by two and three quarter lengths from Douvan, dictating and jumping superbly). Only defeat that season when beaten four and a half lengths by Balko des Flos in the Ryanair Chase at Cheltenham. Largely more fluent jumper of fences nowadays, spectacular when he gets it right, and looks significant that he tries to regain his crown in this race (won 2016 renewal) rather than take in the Hilly Way at Cork 24 hours later. 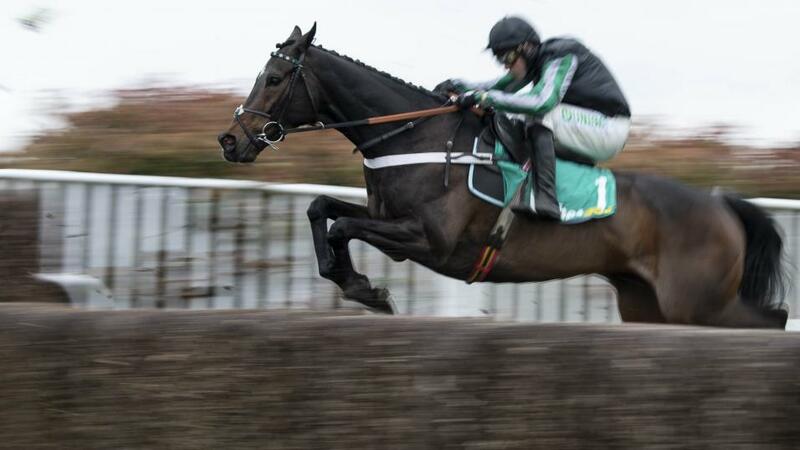 There are no obvious chinks in ALTIOR's armour and Nicky Henderson's charge can reaffirm his status as the best 2m chaser in the business by making it 10-10 in this sphere. Sceau Royal, who landed the Henry VIII Novices' Chase on this card 12 months ago, is preferred to the tough and classy Un De Sceaux for forecast purposes.